This entry was posted in News on November 3, 2014 by Arthur. Count Arthur Strong is to return for a second series on BBC One next year. Series one was broadcast on BBC Two in 2013. 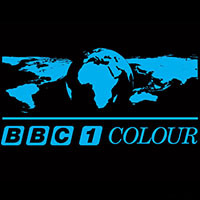 The decision to bring it to a wider audience on BBC One is in line with the channels great tradition of family friendly character comedy and sitcoms. It follows in the footsteps of BBC Two’s continued success launching new talent in hit shows such as The Royle Family, Miranda, Absolutely Fabulous, The Office and The Catherine Tate Show which all started life on BBC Two before transferring to BBC One. The 7 x 30 series is produced by Retort (part of FremantleMedia UK), Komedia Entertainment and Delightful Industries and written by Graham Linehan and the central character’s creator, Steve Delaney. Series one picked up a string of British Comedy Award and BAFTA nominations, the latter in both the Comedy Writing and Sitcom categories. Executive producers are Jon Rolph for Retort, Richard Daws for Komedia and Gregor Sharp for the BBC, and the series is produced by Richard Boden. Michael (played by Rory Kinnear) returns to Bulent’s Café, and is again drawn into Arthur’s world of ill thought-out, innocent but poorly executed scams, schemes and best-laid plans. An inevitable commotion follows former variety star Arthur’s every move, and is delivered in his inimitable triumphant style with warm-hearted Arthur blissfully oblivious to the chaos he leaves behind.